The Invincibles, a team that perfectly defined the philosophy and ideology that Arsene Wenger had sought to bring to the English game since his arrival at Arsenal in 1997. The 2003/04 squad were suitably nicknamed the Invincibles subsequent to the campaign as a result of the unheralded achievement in the modern era of completing the entire season without losing a single match. Despite only being 10 years old at the start of the invincible season, my passion (or as it was then, more of an obsession) for Arsenal and domestic football was perhaps at its peak. Although being young I still to this day feel privileged to have witnessed, albeit from the safety of my sofa, such greatness unfold on the pristine grass stage that was Highbury. The Invincibles are quite rightly viewed as the strongest squad assembled by Arsene Wenger during his time at Arsenal. The team possessed a combination of strength, guile and outstanding team chemistry that helped shape an unstoppable force that would tear its way through the English game. 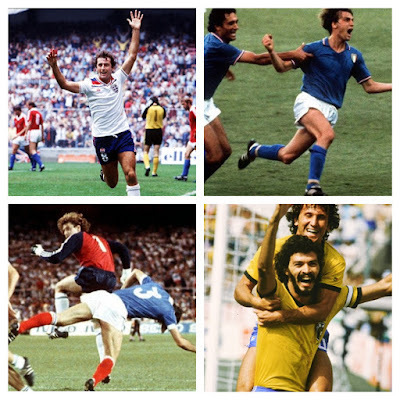 It is worth looking at the individuals that created the squad and their impact on the formation of what was to become a truly formidable team. The Invicibles’ goalkeeper was the only major addition made to the squad from the previous campaign. Jens Lehmann was brought in at the relatively senior age of 33 from German outfit Borussia Dortmund in the summer of 2003 to replace goalkeeping talisman David Seaman. In Lehmann, Arsenal had acquired a keeper whose undoubted talent on the pitch were to be of great benefit the defensive solidarity of the Arsenal side despite a somewhat temperamental personality that was often evident on the pitch. Lehmann was not only an exceptional shot stopper but he was also a goalkeeper who had the ability to command the penalty area not only through his outstanding organisational skills but also with his dominant physical presence. The defensive unit that took shape in front of Lehmann during the Invincible season was undoubtedly the foundation on which the team was able to build its success. The first choice back-four consisted of wingbacks Lauren and Ashley Cole and the centre half pairing of Sol Campbell and Kolo Toure. The centre halves in particular were able to forage a mutual understanding based on the significant existing premier league experience of Sol Campbell and the raw pace and power that a young Kolo Toure was able to bring to the side. In Lauren, Wenger had reshaped a footballing career through modifying a playing position (for other examples of Wenger’s willingness to reinvent a players role look no further than Thierry Henry and to a certain extent Robin Van Persie). Lauren had arrived from Spanish side Mallorca 3 years previously and was seen as a utility man who formed decent cover for both midfield and defence. At Arsenal however, Wenger really cemented Lauren’s position as a right back and he was an integral, if not spectacular, part of the Invincibles' first 11. 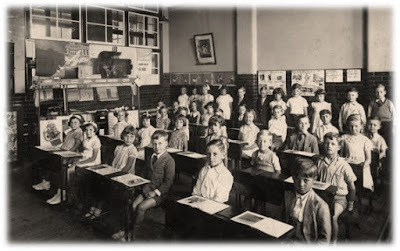 When looking at the other wing, Ashley Cole’s input to the team can perhaps be better appreciated when considering the cognisance that existed with the players in front of him just as much as his collaboration with the back four. Cole was able to form a magical understanding with Robert Pires on the left wing and the further forward Thierry Henry who had a tendency to drift into the left forward channels. 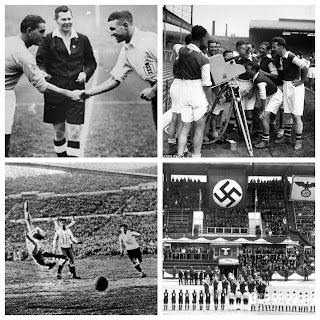 Despite Cole being the only natural left footer out of the 3, there was an imperial understanding that revolved around the pace, skill and natural understanding of the game, that often resulted in devastating affects for opposing right flanks. The central midfield positions were occupied by Patrick Vieira and Gilberto Silva. Both were of significant stature, as was often the requirement in Premier League football at the time, and were very rarely seen to struggle to physically impose themselves against their counterparts. The trickery of Freddie Ljungberg down the right often paid dividends when combining with the experienced and skilled master that was Dennis Bergkamp up top. Although Bergkamp was 34 at the beginning of the season and far from his physical peak, his vision and appreciation of the game had in no way diminished. The input of Bergkamp and other experienced heads to this Arsenal squad should in no way be underestimated and it can certainly be said that in later years a lack of such experience contributed to the clubs fall from the very top of English football. In the absence of a game by game analysis of the season there are some undoubted pivotal moments that contributed to the creation of the Invincible tag. The first of these matches came early on in the campaign. Arsenal faced up to champions Manchester United at Old Trafford in September 2003 where a fiercely contested battle was to unfold. 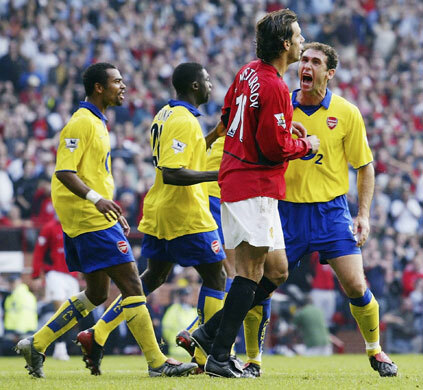 With tensions and passion running high in both teams, Arsenal skipper Patrick Vieira was sent off in the 81st minute for kicking out at United striker Ruud Van Nistelrooy. Vieira and the Arsenal team were incensed however, as it appeared there was no actual contact between the two players. Then in the 90th minute a penalty was awarded to the home team after a clumsy Martin Keown challenge on Diego Forlan, with the villain of the piece Van Nistelrooy stepping up to the plate boasting a formidable penalty record. The Dutchman was able to send Lehmann the wrong way, however his spot kick was only able to rattle the bar. The ensuing few seconds saw Arsenal players Martin Keown and Lauren physically jumping on top of and bumping into Van Nistelrooy to torment him for his missed attempt. Although it is hard to argue that the behavior of the Arsenal defence was in any way commendable, for me it demonstrated an attitude that has been lacking from the Arsenal side in recent years, one of resilience and a refusal to allow other teams to bully Arsenal. On the back of that fateful clash in September the Arsenal went on to produce some scintillating performances, sweeping away many a Premier League outfit that came before them with gusto. For me, however, a two week period over Easter was the real test of the mettle of the Arsenal team that had handled all previous tasks with relative ease. First The Gunners were knocked out of the FA cup 1-0 in a rematch of prior mentioned clash with Manchester United at Old Trafford. Then 4 days later Arsenal had lead Chelsea 1-0 at Highbury in an all English clash in the Champions League quarter-final, only for Chelsea to come back and break red hearts with a 2-1 win sealed by a last minute Wayne Bridge winner. The following weekend a deflated Arsenal outfit faced up to Liverpool in a league match at Highbury. With the gunners 2-1 down at half time, their season seemed close to meltdown, with the challenge of appearing in 3 major competitions seemingly taking its toll. It was then however that the character and spirit of the Arsenal squad emerged in a way befitting of only true champions. 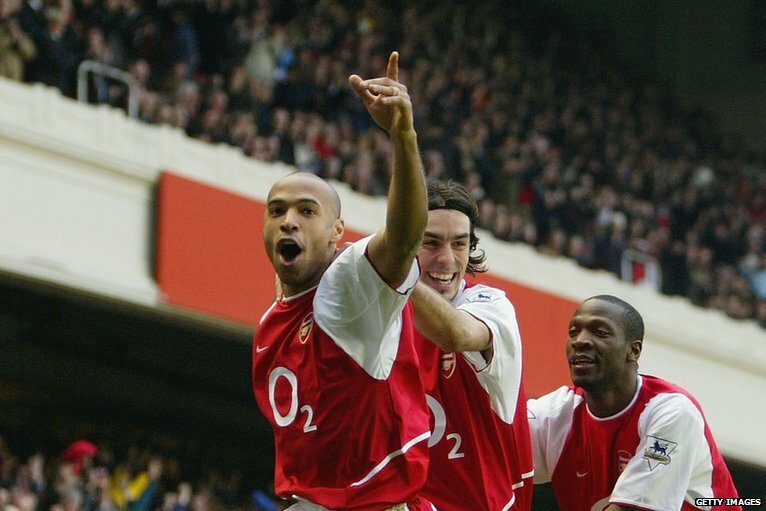 Arsenal came back to triumph 4-2, with a marvelous Thierry Henry hat-trick, including one goal of utter genius involving a slalomed run through the Liverpool back line leaving Jamie Carragher, amongst others, in his wake. From here the team pushed on, with Thierry Henry bagging 4 goals the next week at home to Leeds, and were eventually able to seal the title with a 2-2 draw at North London rival’s Tottenham. 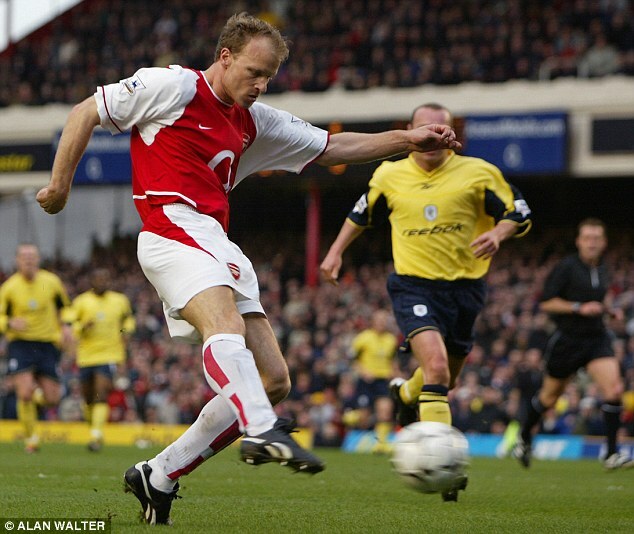 The Invicibles survived a few scares late in the season to round off the campaign with a 2-1 home victory over Leicester, with the final goal a coming from a trademark Dennis Bergkamp through ball finished off by skipper Vieira. Personally, the achievement of the Invincibles is one which I don’t expect to be matched again during my life time. Of course the age old cliche of ‘you never know in football’ always applies, but the Invincibles were able to form something truly unique, through a blend of spirit, skill and sheer footballing ability. From an Arsenal fan’s perspective with the club winning just one trophy since that glorious season (the following campaigns FA cup) the Invincibles are a team that I’m proud to say I was able to witness and one which shall surely take its rightful place in the history of English football.